The moment Other Kevin returns to his world trouble begins. Thankfully, he finds friends and allies-some expected, some unexpected-and soon discovers he, like his sister, can wield Old Magick. But without a mentor to help him, will Kevin be tempted to embrace Darkness? Back in our Tulsa, things have settled down since Zoey and the gang closed the tear between worlds. A new school year has begun, and Zoey's exchange student program with public schools is really taking off. All is well. But if all is well, why is Zoey increasingly withdrawn and moody? Stark thinks he knows what's wrong-and he is determined not to lose Zoey to the Other World and Heath, who is there and very much alive. Stevie Rae thinks she knows what's wrong-Z just needs a break. Maybe a little vacay? And the rest of the Nerd Herd thinks their Z will be fine-just give her some time to stop missing (and worrying about) Other Kevin. 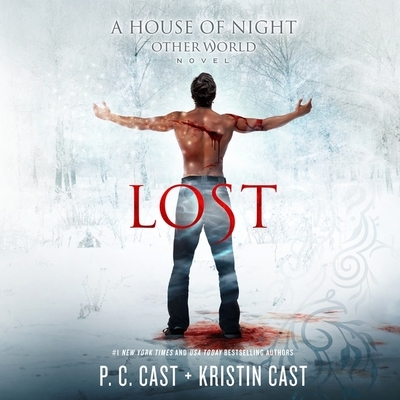 In Lost, we follow Zoey, Stevie Rae, and Rephaim to an alternative version of the House of Night, where dangers take the form of friends, and allies are found in the strangest places.